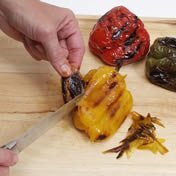 Use fully ripe fruit to provide the best flavor when preparing this attractive, easy to make medley. 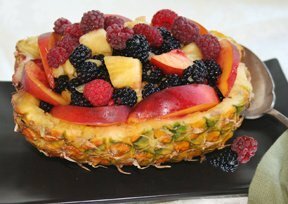 The pineapple shell is filled with pineapple chunks and seasonal fruit such as berries, peaches, and plums. This Fruitful Pineapple recipe makes a perfect fresh fruit salad, or it can be served as a dessert over ice cream or custard. Use this helpful guide to safely can your harvest of fruits and vegetables. Learn how to preserve them so you can enjoy them throughout the year. See how easy it is to freeze your tomatoes so they can be used in your favorite sauces. You can store frozen tomatoes for up to a year.